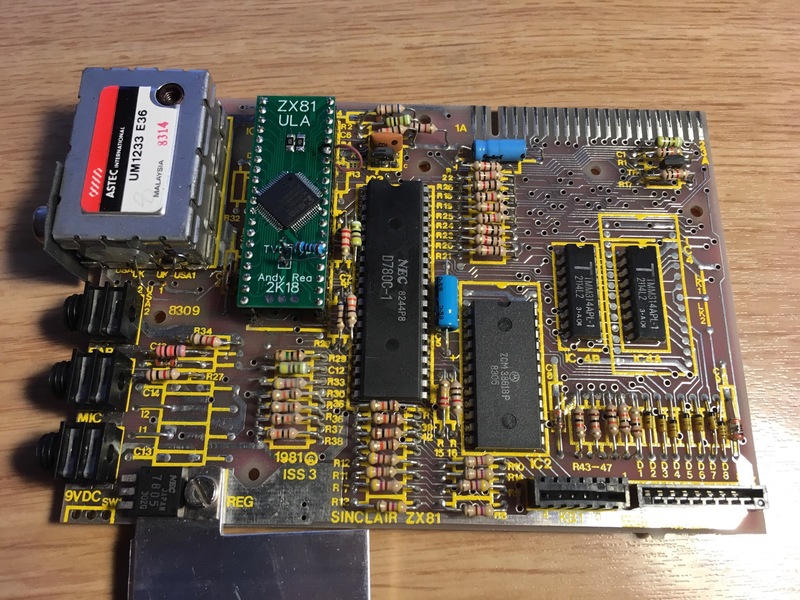 The ULA was for repair of my first ZX81 imported from the Danish company ZXdata. I have had it working and shortly after joining this forum it broke with white screen. The conclusion back them was the ULA must be broken. I had a digital probe to test with. Since then I used a lot of energy to desolder the ULA and finally broke it to pieces to get it off. For a novice it's impossible to remove an IC without a desolder gun. A little late now but the easiest and safest way to remove a DIP IC is to cut all the pins with a fine pair of side cutters and then remove each pin one by one using soldering iron and tweezers, then with plenty of flux and some desolder braid removes solder form holes ( you may need to flip board and go from both sides) do not dwell too long n any single hole, if difficult move on and allow that area to cool a little and return later, sometimes more flus and fresh solder can also help. to Link in first post 8 more up for grabs. Argh! Missed out again! These things go faster than hot cakes. If it's any consolation I was looking at the sellmyretro entry last night and this morning. From the 8 made available there were still four left when I hit the sack and at 06.00 today there were still two. So at least you've not got much competition from people across the pond. Under circumstances of limited supply "Mine arrived today" posts might not do much to improve your mood, though I prefer to think that it's just elation rather than an attempt to make you paranoid. I wouldn't worry too much, Knowing Andy as I do I predict he won't stop till we all have at least one each and kudos to him for giving up the most important thing there is,that's his time and considering he's hand assembling the buggers himself it must be lengthy. For a novice it's impossible to remove an IC without a desolder gun. Nope. Practice! Plain iron & solder pump go a long way. I rarely damage IC OR board. But it really takes practice to remove IC's without damaging a board. If that practice is lacking, safest method is to cut pins (and take destroyed IC as the cost of doing business ). And with the right tools & procedures, you can do this kind of thing a loooottt faster.